Australia – Quantum computers may be coming sooner than expected, thanks to a significant breakthrough made by scientists from Griffith University in collaboration with the University of Queensland in Australia. On Monday, the team of scientists from both universities announced the development of the quantum Fredkin gate, which consists of simplifying complex quantum logic operations. The development of the breakthrough in quantum computing was recently published in the journal Science Advances. The new computer chip developed by the team of scientists from Griffith University and the University of Queensland is capable of simplifying the building blocks of quantum computing, therefore, making it easier to bring quantum computers to reality. A quantum computer works the same way a normal computer would, involving chains of logic gates in its programming. However, the quantum computers contain quantum logic gates, which in turn harness quantum phenomena, said Raj Patel from the Griffith University’s Centre for Quantum Dynamics in the statement published on Monday. Dr. Patel explains these trials by comparing them to building a huge wall made out of small bricks. While normal computers need lots of chains of logic gates, large quantum circuits need several logic gates to properly function. By simplifying complex quantum logic operations, fewer logic gates are needed to develop a quantum circuit, therefore bringing scientists closer to successfully create a quantum computer. And considering there have been previously big improvements when it comes to creating the first quantum computer, next generation computing could be already upon mankind. Using only five atoms, scientists from MIT and the University of Innsbruck in Austria developed the first scalable quantum computer a few months ago. The quantum computer was able to solve a mathematical problem. Yet researchers claim that this technology is scalable beyond factoring prime numbers, according to a paper published in February in the journal Science. Amazingly enough, quantum computing could be applied to almost every aspect of modern services, as it could improve pharmaceutical industries’ production by enhancing the drug manufacturing process. It could also be applied to technological industries, as well as security agencies, as quantum computing represents an imminent threat to current encryption methods. 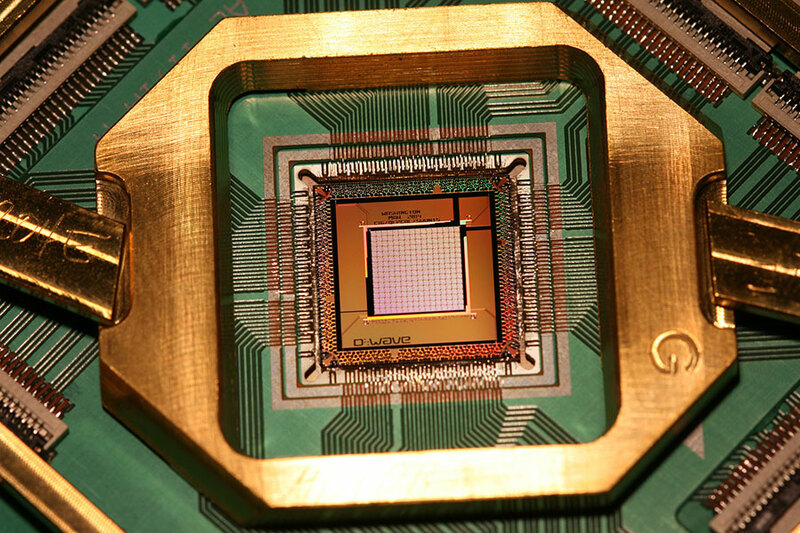 The findings from MIT researchers along with the University of Innsbruck on previous studies regarding quantum computing, signify a breakthrough in modern science, as the creation of a quantum computer will definitely change the way society secures its confidential information. In an interview for the journal Science, the MIT research group claimed they had developed a prototype of a Quantum computer using five atoms held in an ion trap. As quantum computers are considered the next generation of computing, their superior mathematical skills could sooner or later crack the security of current encryption schemes. This poses a threat not only to Internet users across the globe but also poses a national threat to every country that relies on encryption codes to secure their precious data. Now, the quantum Fredkin gate recently developed by the team of researchers from UG and UQ in Australia could help with security issues due to its two sets of qubits or quantum bits. This would increase the security of quantum communication protocols as it would require the two digital signatures to be verified before accessing the data, said Tim Ralph, a professor at the University of Queensland. “What is exciting about our scheme is that it is not limited to just controlling whether qubits are swapped, but can be applied to a variety of different operations opening up ways to control larger circuits efficiently,” said Professor Geoff Pryde, chief investigator of the project.